The 2nd speech contest held! The 2nd speach contest held! We have started a school newspaper "MJI REPORT"! Graduation ceremony in 2016 was held! Graduation ceremony in 2016 was held ! We went to "Tokyo Disny Sea"! We went to Tkyo Disny Sea ! The 1st school speech contest held ! The 1st school speech contest held! Students of MJI aired on TV ! Workshop for teachers on June 23 ! It has released the home page. The Population Division of the United Nations predicts that the population of aged persons will reach near to 20 % of the world in 2050. Above all, aging of the population in Japan has been rapidly going forward, and the decrease of working population has brought Japanese society the demand for the working power of overseas people. It is necessary for overseas people who work, and live smoothly in the local society in Japan that they acquire language skill as well as understanding Japanese culture and society. Knowledge of Japanese language as practical skill will prevent serious misunderstanding and troubles with Japanese people. Understanding of foreign culture and society will create relationship with the local people and enable you to live together with them. In 2015 Matsudo City with the population of 480,000 has not less than 10,000 people from overseas. Seeing that conditions, the Board of Education of the city put up the principle of “Live together with great diversity in culture,” and offers support for the residents from overseas. I am firmly convinced that the establishment of this Institution has a profound consequence at this place in this period. MATE Care Group Corporation, parent organization of the Institute, has long been involved in managing nursing and caring facilities and developing nursing staff. Lately demand for nursing staff from overseas is on the rise. Respect for human rights, securing safety and supporting for independence has deeply something to do in spirit with nursing and caring. 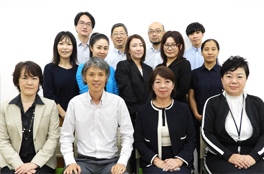 “MATE Japanese Institute” was established with the prospect of developing capable persons from overseas in nursing and caring field in near future. 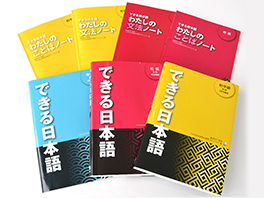 In the process of the establishment of the Institute, Ms. Shimada, Kazuko, chair-person of Acras Japanese Language Education Institute offered us great support and we adopted “Dekiru Nihongo,” which is compiled under the supervision of Ms. Shimada, as a main textbook for our class. We have dormitories, houses for students, which are ready to be used with reasonable rent. There are bicycles of reasonable price for students, for which the Institute carries general accident insurance. The recruitment company related to the Institute will introduce a part-time job to anyone who are interested in it. We have prepared “The system of scholarship students” “Encouraging-study pay system” and “Exemption of fee for entrance and the examination fee for entrance” that are all of the Institute’s own. Well-experienced teachers and staff will offer you support and pieces of advice for your life in Japan. Copyright © めいと日本語学院　Mate Japanese Institute. All Rights Reserved.